Subscribe! Submit! Add to cart! Learn more! Sign up! What do all of these have in common? They’re all types of calls to action that I’m sure you’ve seen on all of your favorite websites. Many of which you’ve most likely clicked on. As you go about website building, you’ll eventually want to add calls to action (CTA) on various pages throughout your site as a way to engage with your visitors. Unsure how to implement a web design that includes calls to action? Just keep reading. When you want the viewers of your website to do something specific, you’ll want to use a call to action. A call to action is a button, or simply text to click, that tells the viewer of a web page to do something, or literally take action. Any time you’ve signed up to join an email newsletter, created a new account, logged into a pre-existing account, or even added a new item to your cart, you’ve used a CTA to do so. It’s important that your website has various calls to action. Not only do they drive your visitors into potentially making a conversion, but they also can increase the click-through rate of your website. Tip: The click-through rate is the number of pages an average user views when they visit your site. You want a visitor to do more than read your homepage and bounce off. CTAs are a great way to ensure a user is clicking around and viewing a number of pages on your website. There are many types of CTAs that you could choose to have on your website, all with a different end-goal. Because of this, your website can strategically place multiple CTAs around different areas and pages. 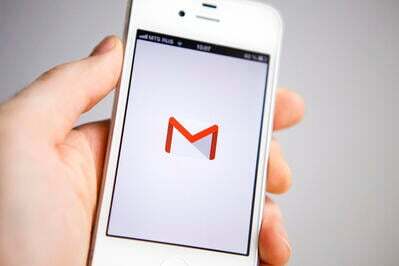 However, don’t go overboard and spam the visitor of your page with incessant pop-ups and links. Let’s break down the different types of call to actions that your website can have. Interested in turning visitors of your website into leads? CTAs are a great way to do so. These kinds of call to actions should be placed in an area of your website where there is a high percentage of new visitors. If your website has a blog, consider adding a CTA at the end of a blog post or in a floating banner off to the side so viewers can subscribe to your content. To make sure these are noticed by your visitors, make them eye-catching and give them a message that effectively tells the user why they should click it. An example of a lead generating CTA would be how Quay Australia tells potential customers they can save 10 percent on glasses when they enter their email. They even made use of changing up the text of the button to something generic, like “submit” to “get my 10% off”. Related: Learn how to create a WordPress contact form and start boosting engagement and lead generation! 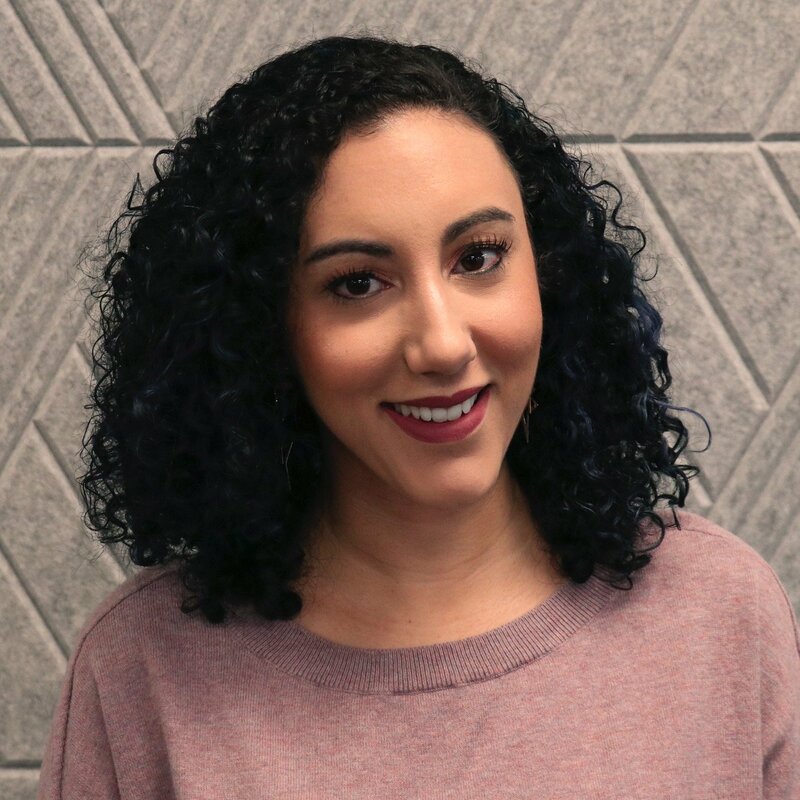 Once a user clicks your lead generation CTA, it’s likely they’ll be taken to a landing page that contains a form, which they’ll need to fill out before officially becoming a lead. Tip: When your CTA converts and you find yourself with new leads, it's time to get them into your marketing funnel. Automate and personalize the content you send contacts with marketing automation software. This is a two-step process because once they fill out the form, they actually have to click the submit button to send their contact information to your database. It’s important that you further engage this user with an enticing and straight-to-the-point form. Consider changing up the boring and overused “submit” button to say something else and provide further information. 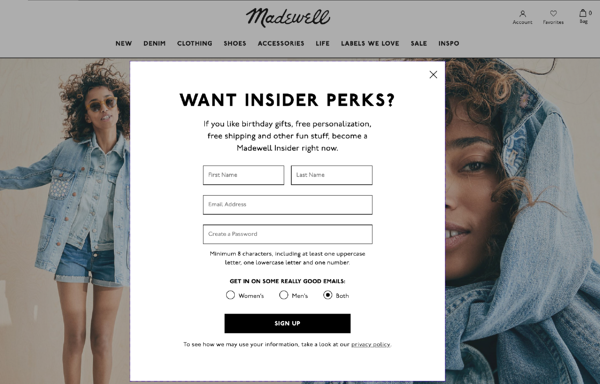 An example of a brand that uses a form submission is the online clothing store Madewell, which prompts visitors with insider perks if they sign up for their emails. The “Read More” button is essential to any page of your website that displays content. This could be your blog, About Us page, press clippings, or featured article. This type of CTA is a great way to get readers to continue reading content that isn’t fully displayed on your homepage. If the post is particularly long, include the first paragraph to get your readers’ attention, followed by a “Read More” button to be taken to the full piece. In addition to freeing up space on your homepage for other content, the Read More button ensures that certain articles get specific metrics, like traffic, instead of users just reading the post in its entirety on a homepage. An example is how the G2 homepage has a “Learn More” button that viewers can click to get further information regarding how we are changing the software game with our real-time and unbiased user reviews. We live in a time where social media isn’t just a fun place to share your thoughts. It can also be used to market your website and all of its posts and updates. One of the easiest calls to action is one that encourages visitors to share a piece of your website’s content with their friends via social media. This is a quick and easy way for potential leads, existing customers, and visitors of your website to engage with your brand in a low-commitment way. Whether it’s an exciting news clipping, an announcement of a new product, or an article that took extra time and research, a social share button is an excellent CTA to use. 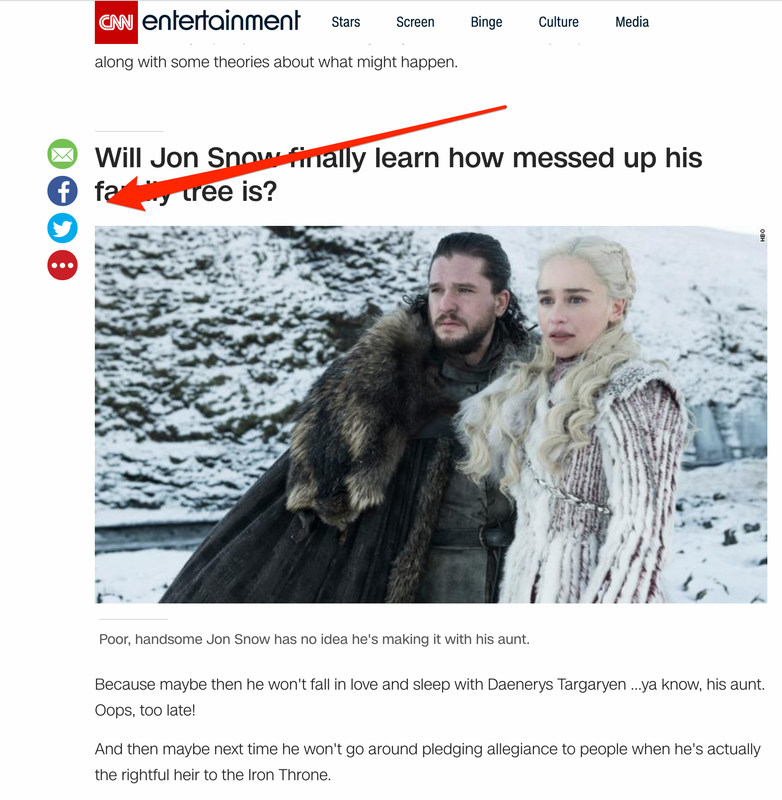 Below, CNN uses social shares on one of their recent Game of Thrones articles, making it easy to share via email, Facebook, Twitter, and more. 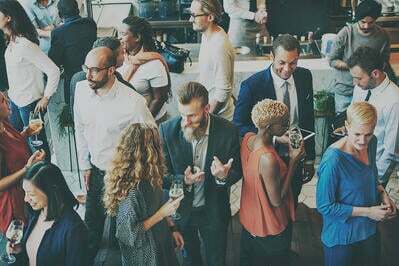 Is your company throwing a big event or holding a conference? Do you want actual people to come to this event or conference? If yes, then a CTA that promotes this event and raises its awareness is an absolute must-have for your website. Not only can you use it to drive ticket sales, but this CTA can be used to attract a specific type of audience. If you want your customers to attend the event, put this CTA on the log-in or checkout page. If it’s an event for leads, consider adding this CTA on a sidebar to your blog or the article that gets the most traffic. 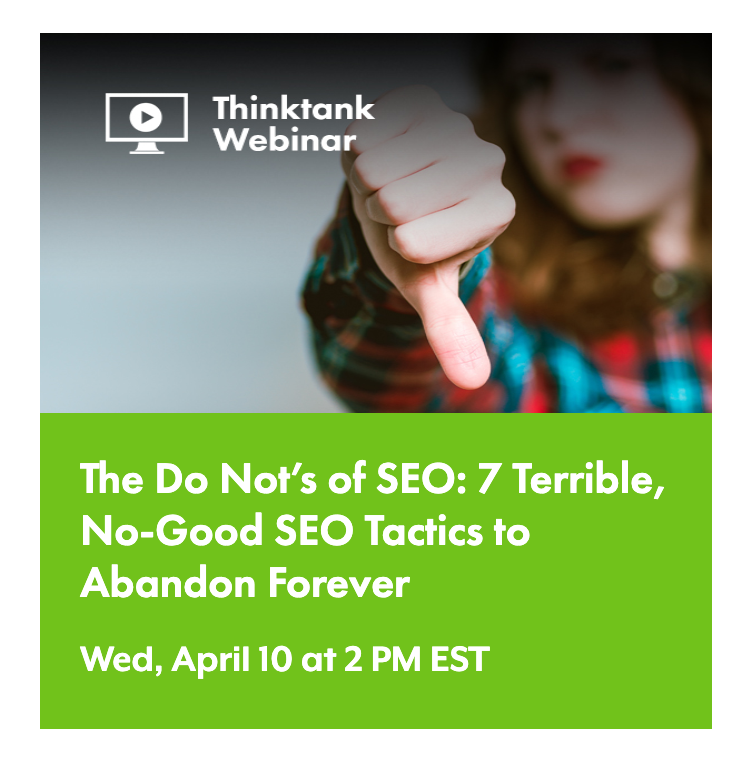 Below you’ll see that Search Engine Journal is highlighting one of their Thinktank Webinars on the side of their homepage. If you want your calls to action to work, you need to be more creative than slapping “click here” on a red button and hope your website gets new leads or more traffic. While there are many types of CTAs you can add to your website, make sure you’re doing it in a way that sets your brand apart from the rest. In addition to an eye-catching CTA, check out how to choose the best image for your website and the ways to use video on your website.